Could this be any cuter. 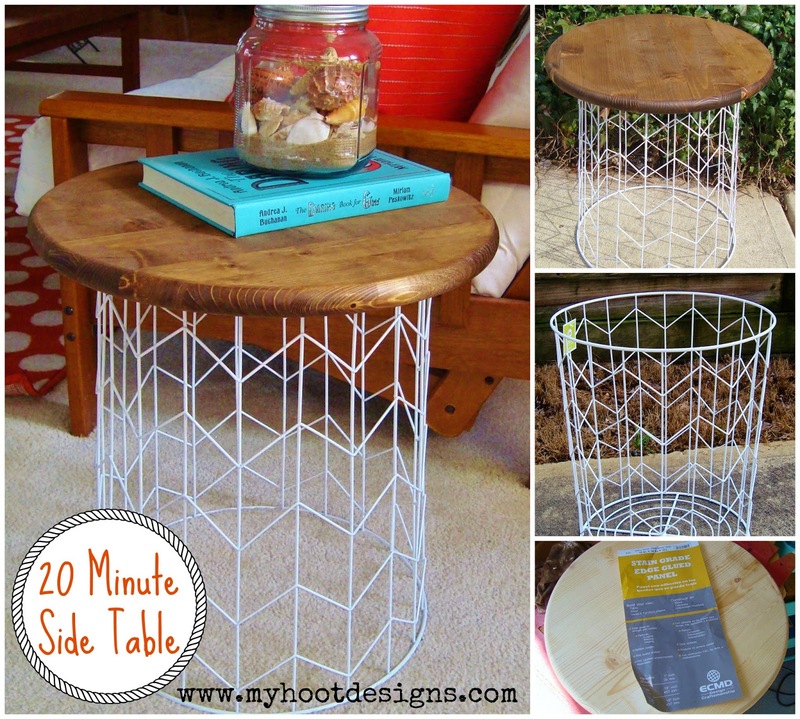 I saw this DIY table on the Making Home Base blog and knew I had to run, not walk, to Target for a hamper. I did not find the exact base but one similar. I'll let the post above give the directions, after all Chelsea gets all the credit!! Here is the wood round I bought it's 18 inches across. Purchased at Lowe's. I used Minwax Provincial stain. I used a foam brush to apply the stain and quickly wiped it off section by section. It makes for a lighter finish and dries super quickly. Here is the table in the room all finished.